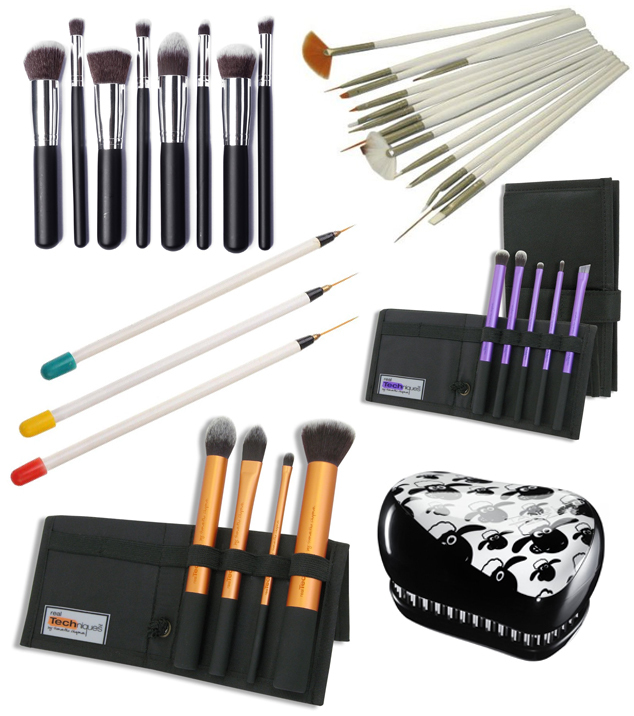 Beauty Cosmetics Brushes are essentials for so many aspects of beauty and I find a brilliant place to buy cheap, good quality brushes is from Amazon. You can read reviews of some of the beauty cosmetics brushes I have had that can be found on Amazon here and here. One of the best products that is on my list, and was one of my more recent purchases are the 15Pcs Nail Art Painting Pen Brush. They are a bit crazy cheap so I did wonder if they would be a good quality. The Nail Brushes did take a short while to arrive but they are fantastic brushes for nail art, decent quality with a diverse range of brushes for different techniques. There is also a dotting tool brush in there which is a bit easier to use that the other dotting tools as it has a longer handle. I used some of the brushes in my recent nail art video. Other brushes on my list include the Shaun the Sheep Tangle Teezer. I reviewed my Tangle Teezer previously, it is such a great brush for de-tangling wet hair and is now one of my beauty cosmetics brushes essentials! I love the Shaun the Sheep design, it’s super cute and a bit more interesting than a plain tangle teezer. The items that I found on Amazon that had the best discount were the Real Techniques Starter Kit and Real Techniques Core Collection Kit. I love real techniques, their brushes give really good results and are so well made. I recently reviewed their stippling brush but paid nearly the same price in store for that one brush than you do for getting a set of brushes from Amazon! Have you found any great Beauty Cosmetics Brushes on Amazon?